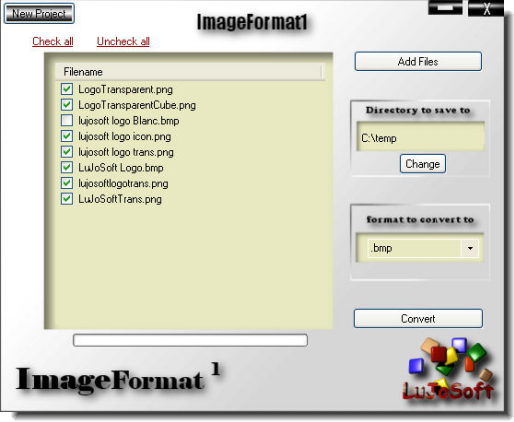 A small utility that I wrote to change image format. Can convert an unlimited amount of image at the same time. Easy to use and it is very fast for conversion in all format. For the next version it will have a resize option, more format extension and should be out by the end of 2009. Of course like always the update will be free.